Bullitt County, Kentucky, has an astoundingly large amount of judicial space. I even got a little confused when attending a hearing there as I wasn't sure of which building to enter! Shepherdsville was founded in 1793 where the old Wilderness Trail crossed Salt River. Bullitt County was formed four years later, on January 1, 1797, from lands taken from Nelson and Jefferson counties. 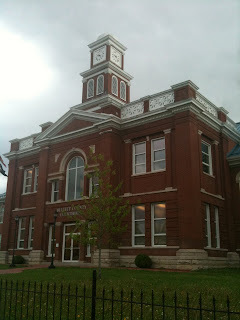 This Beaux-Arts style courthouse is only the second to occupy Shepherdsville. It was constructed in 1900-01. Salt licks in the area were important to attracting early settlers. The first commercial saltworks in Kentucky were established in Bullitt County, and the area experienced rapid growth in the 1800s due to the presence of the railroad that ran from Louisville to Nashville. Not suprisingly, whiskey distilling remains an important industry in the county. The drive form Shepherdsville to Bardstown features both the Jim Beam distillery and Four Roses. I highly recommend the route. The majority of judicial activities now occur in the new judicial center which is located behind the old Beaux Arts building. 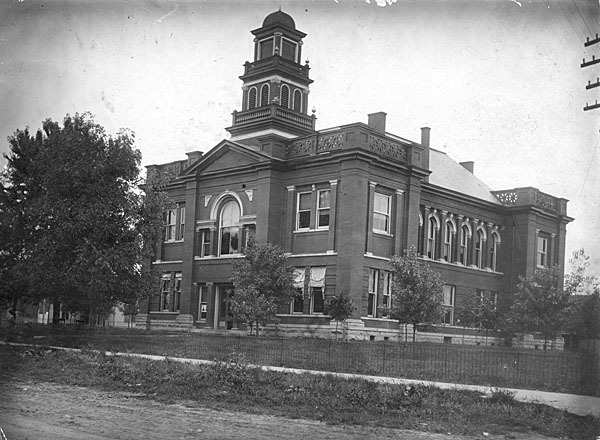 The old courthouse now houses the Bullitt County History Museum.